Crackle has today farrowed, two days early! 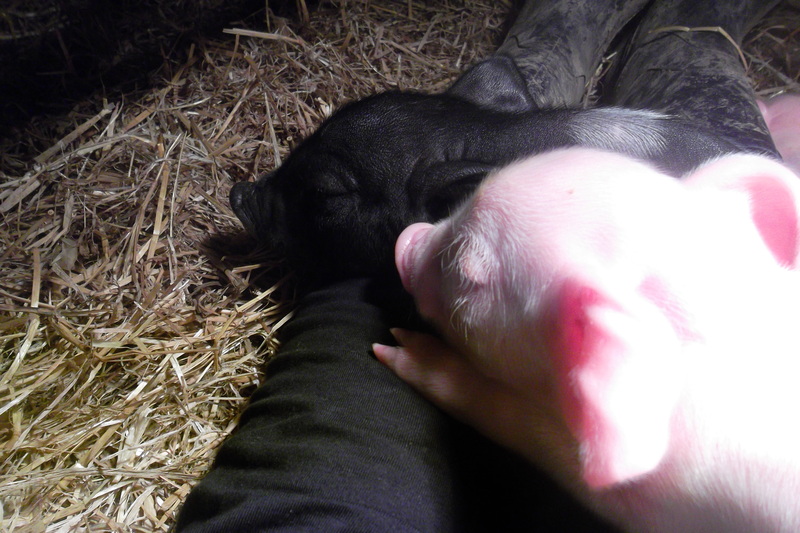 Thanks once again to intuition, Andrea was at the farm just as the second piglet was born. 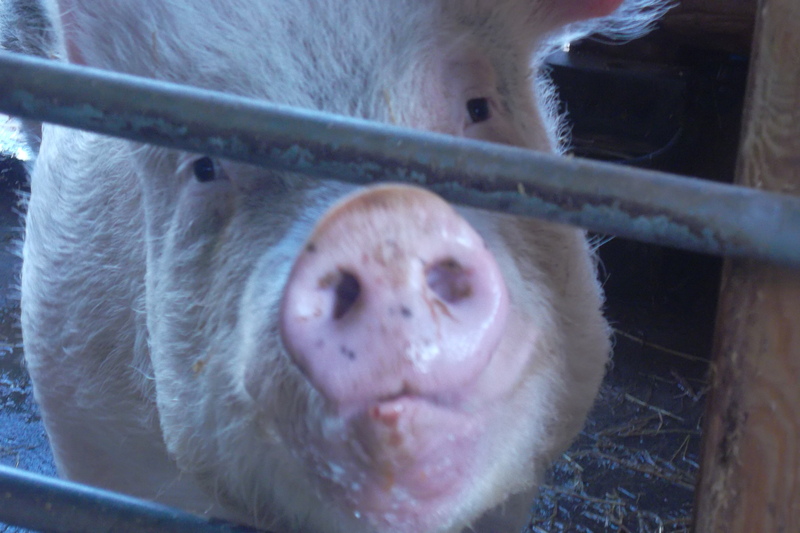 Sadly the next three were born dead and after a long wait a further live piglet was born. It was then a couple of hours before the next three appeared, one in quick succession after the other. 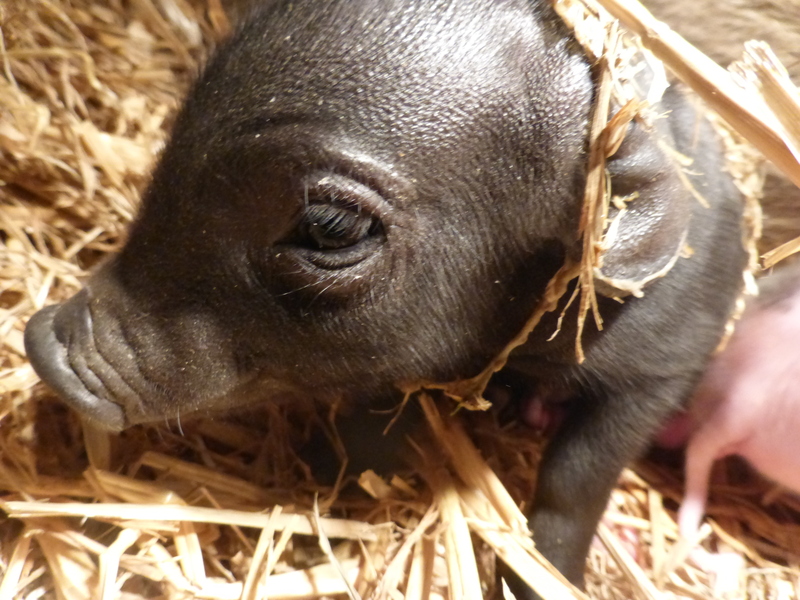 A large black piglet was born at 4.30 making it number 10. Watch this space as we are not sure if she has finished yet. I will leave Pete to edit this with more accurate farming terminology, when he has finished pacing up and down! 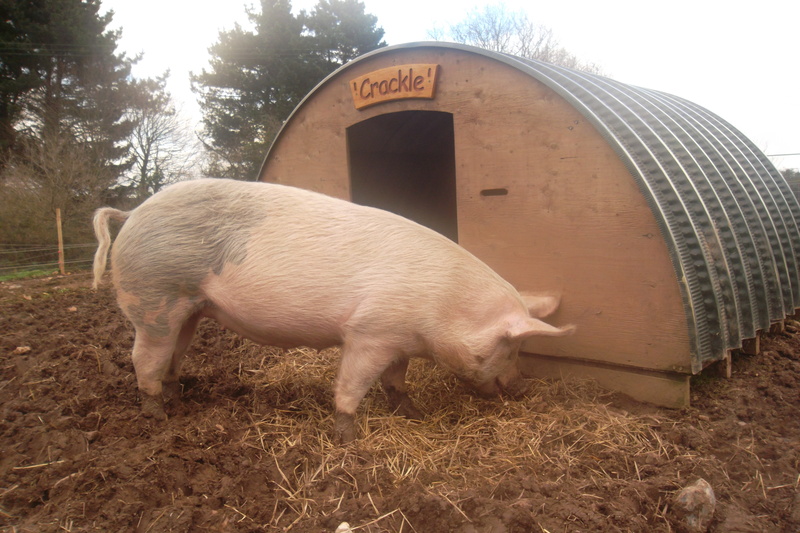 Latest update 6.30 pm – Crackle has had a total of 17 piglets but sadly only 11 survived. Crackle has done us proud again. Well done Crackle! FURTHER UPDATE – 25 MARCH 2015: Unfortunately farming is not all about cute little lambs or piglets, it has its sad side too. 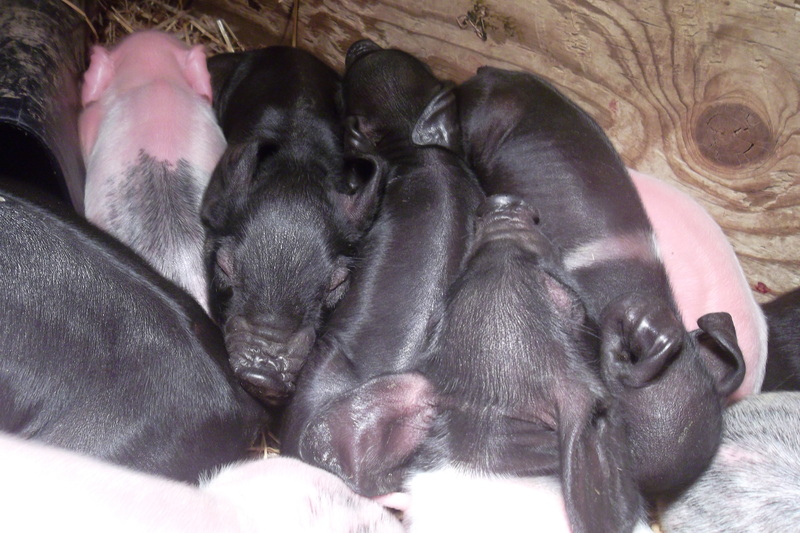 Sadly five of Crackle’s remaining piglets have died leaving her with 6. All six piglets and Crackle have been vaccinated with penicillin in case there is a bacterial infection which is affecting them and the dead piglets have been taken to the Animal and Plant Health Agency Veterinary Investigation Centre in Starcross for tests, to see if they can let us know why our piglets have been stillborn or died shortly after birth. We will update you as soon as we have any further information, but this could take a couple of weeks. 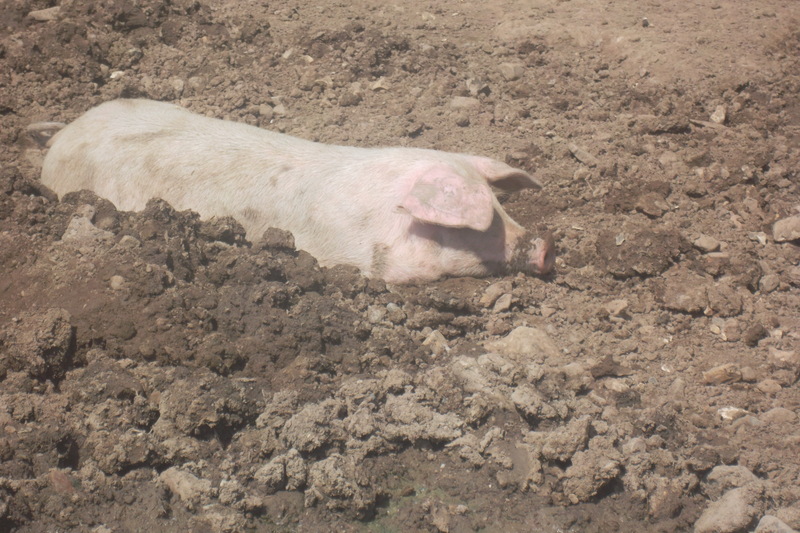 For now, we hope that Crackle and her remaining piglets will be okay and we are all keeping a very close eye on them. 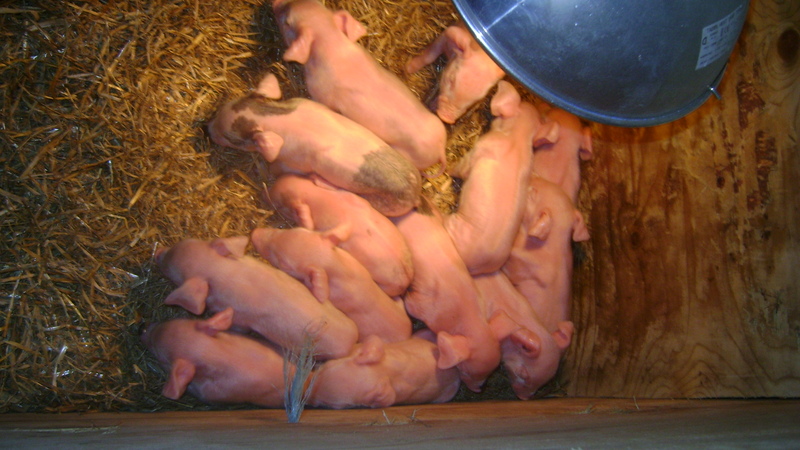 Sunday 29th March – 1 week old – Today the piglets have been quite lively. Two are being topped up with a bottle as they are very small compared to the other four. 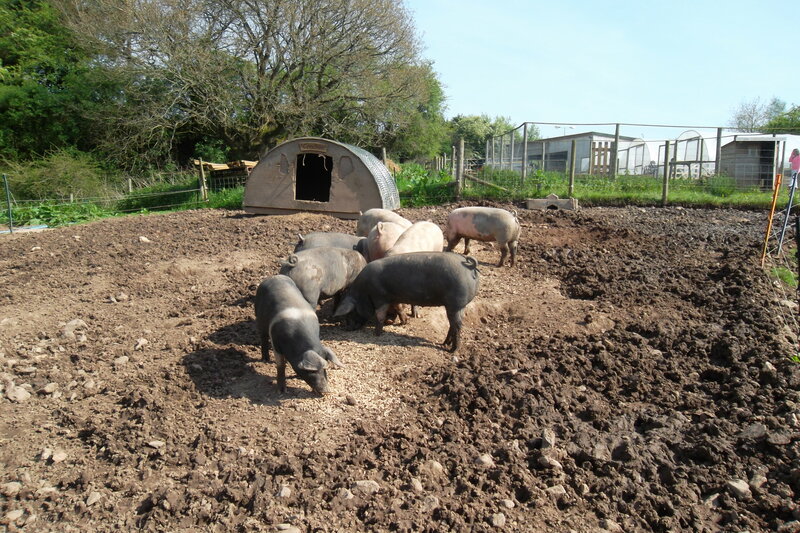 It is lovely to watch the piglets playing together for a short while. In between feeds and sleep they are incredibly lively, although you would not believe it from looking at the photo below!! 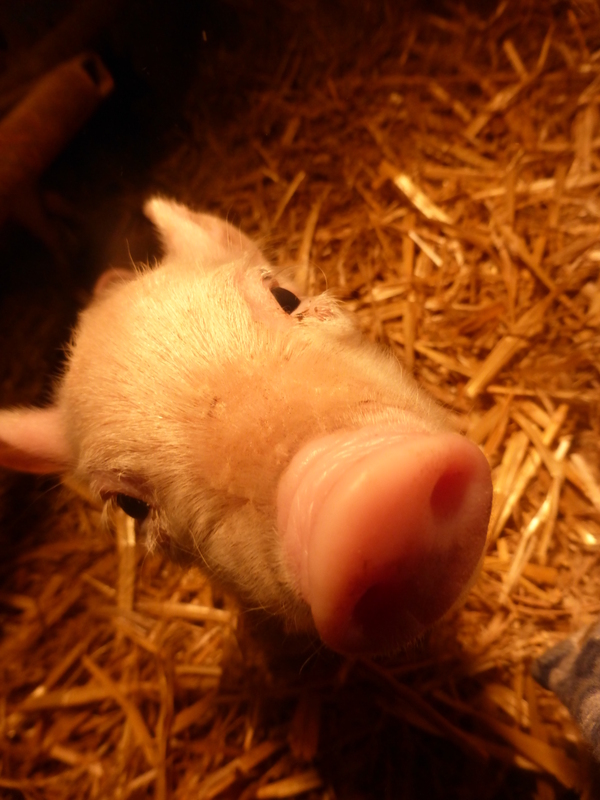 The piglets were very lively this morning and all feeding well from Crackle. 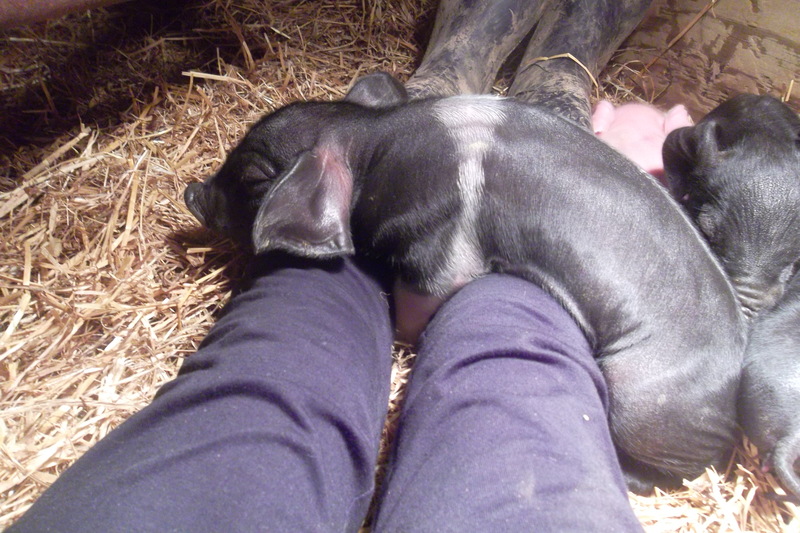 Sadly though, our smallest piglet passed away during the night despite the efforts of the carers going up the farm to top him up with bottled milk. 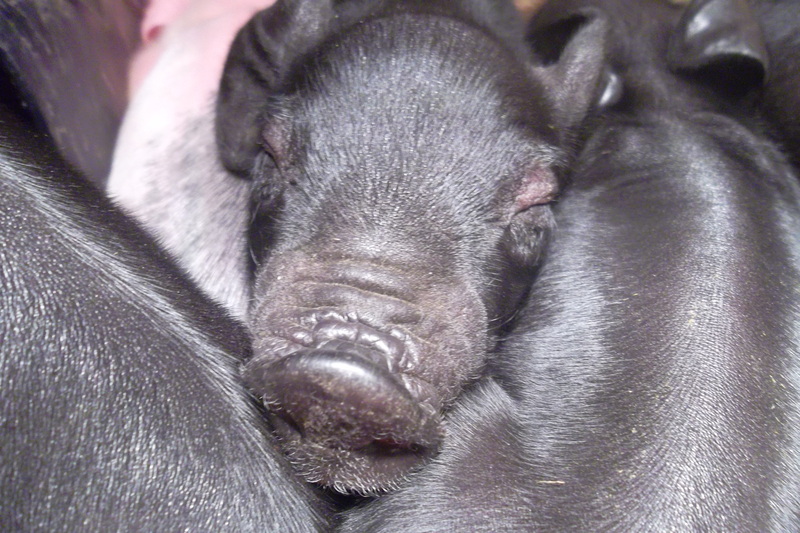 Crackle our wonderful sow, has this morning given birth to 14 piglets. The piglets were born in the early hours of this morning, the last one making an appearance at about 6:50 am. 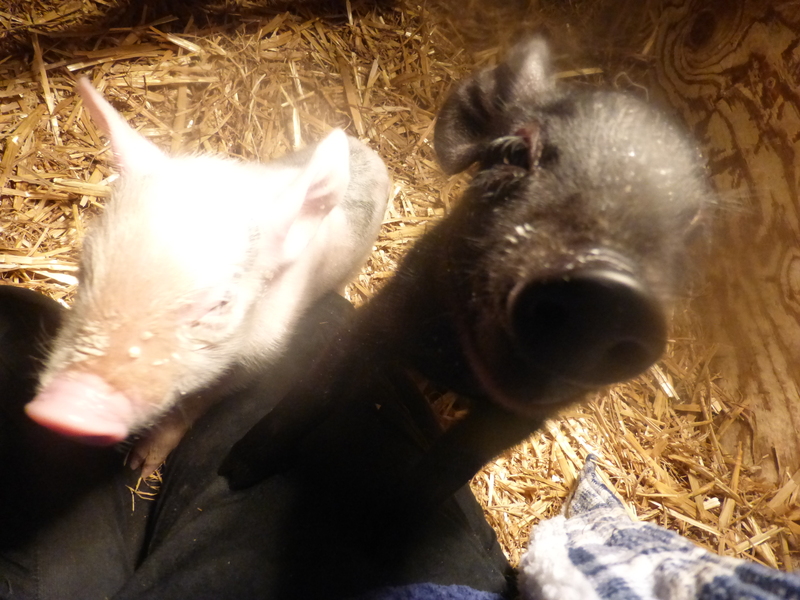 All piglets are feeding well and Crackle is being her usual attentive self. Well done Crackle! 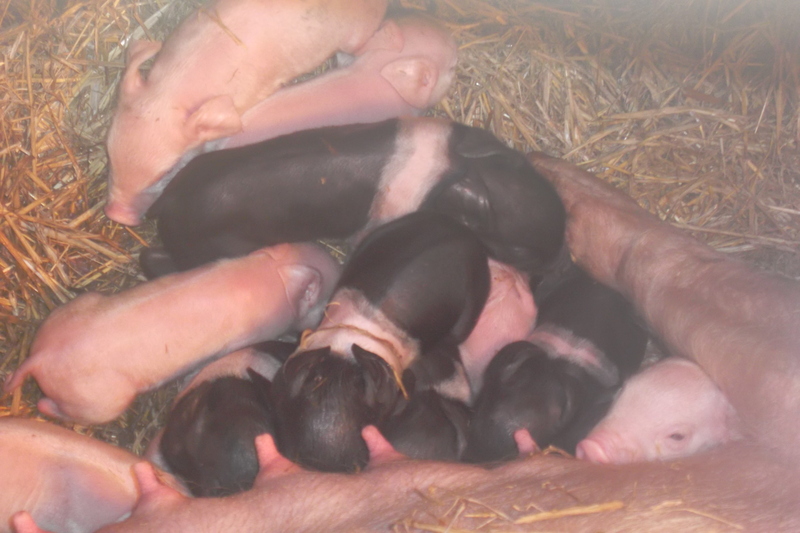 23:50 hours CRACKLE HAS THIS EVENING GIVEN BIRTH TO 13 PIGLETS. 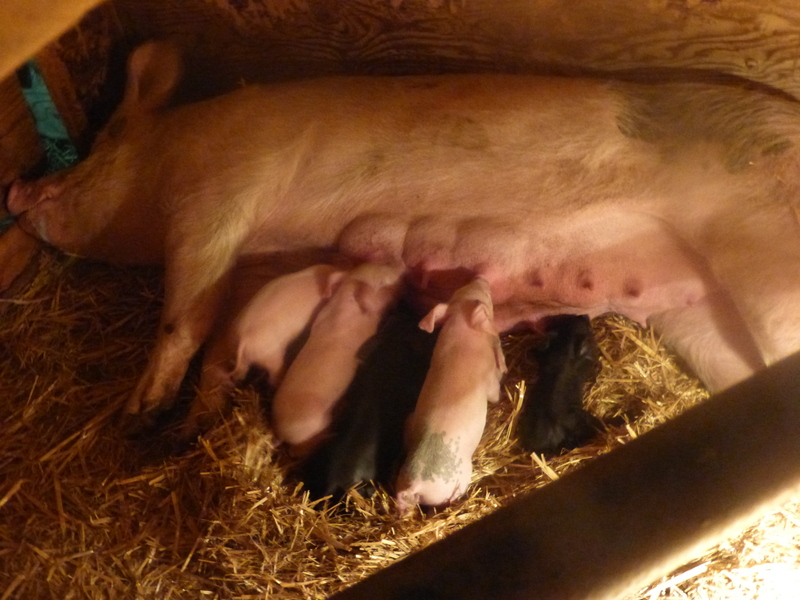 BY 9PM SHE HAD HAD 6 PIGLETS, IT WAS THEN AN AGONISING HOUR AND A QUARTER OF PACING UP AND DOWN (BY PETE!) 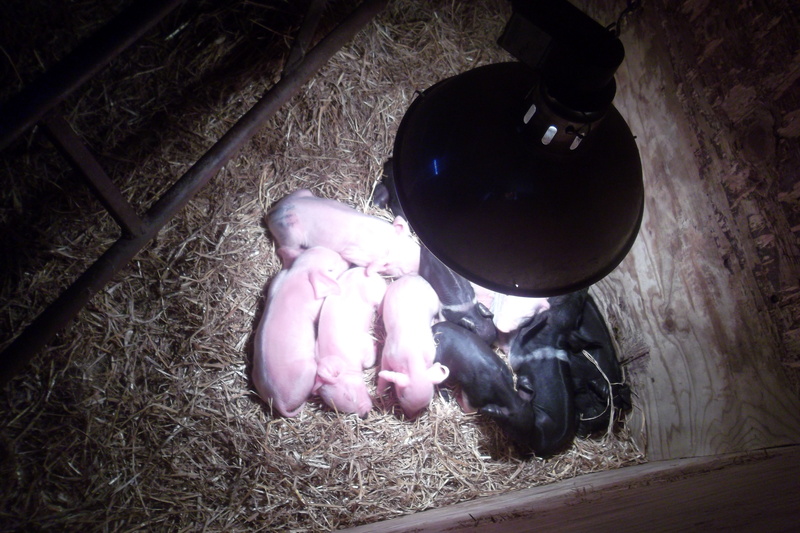 BEFORE PIGLETS 7, 8 AND 9 APPEARED, FOLLOWED SWIFTLY BY 10, 11 AND 12 AND 13 WAS BORN AT APPROXIMATELY 22:45. 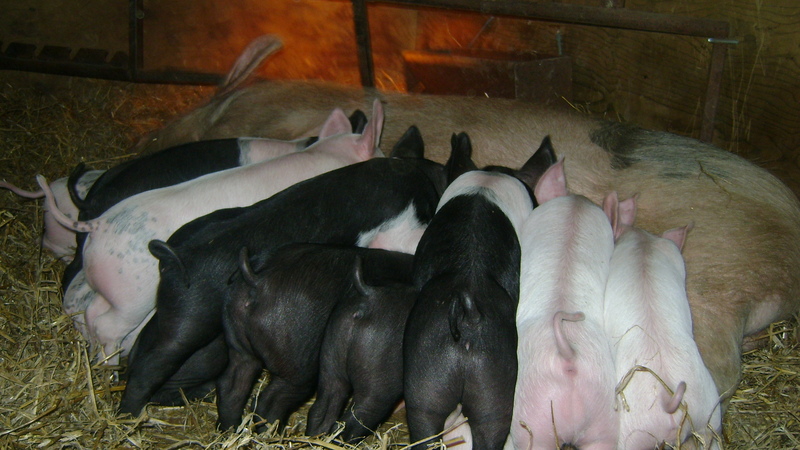 MUM AND PIGLETS WERE SETTLED AND FEEDING WHEN WE LEFT JUST BEFORE MIDNIGHT. 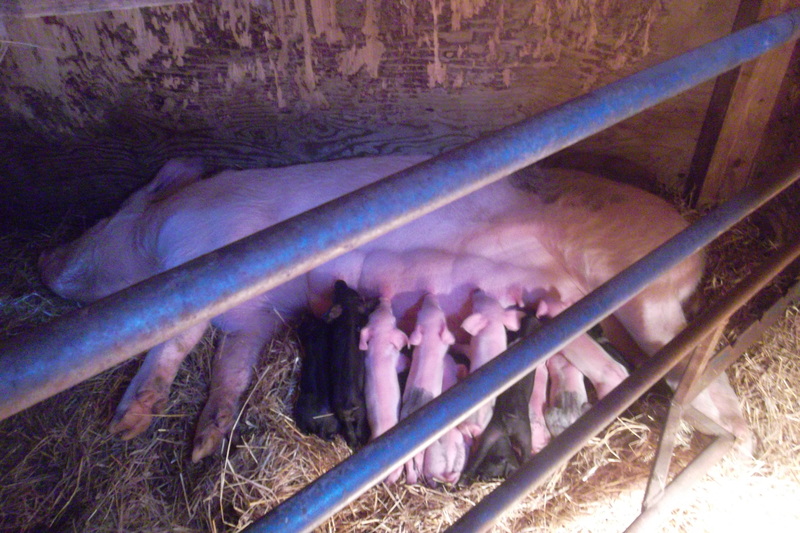 Update: Friday 21st September – Mother and piglets are doing well. 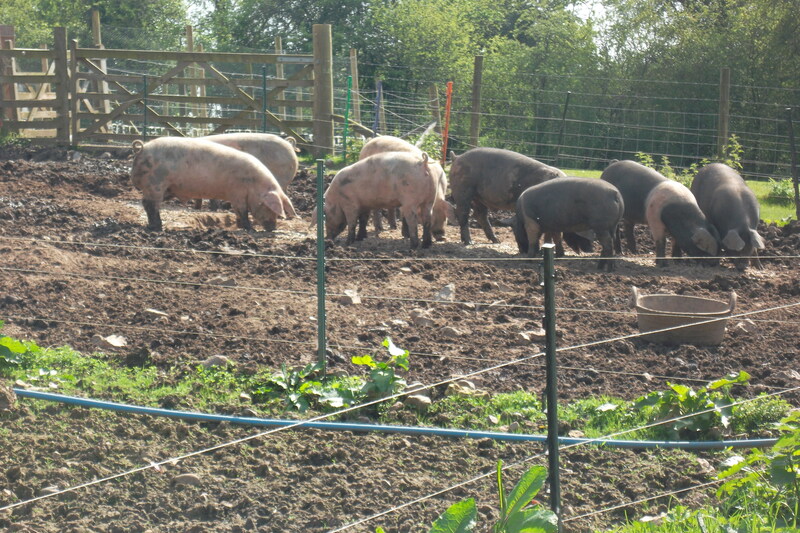 The piglets continue to put on weight, ranging from 3.5kg to 6.5kg. 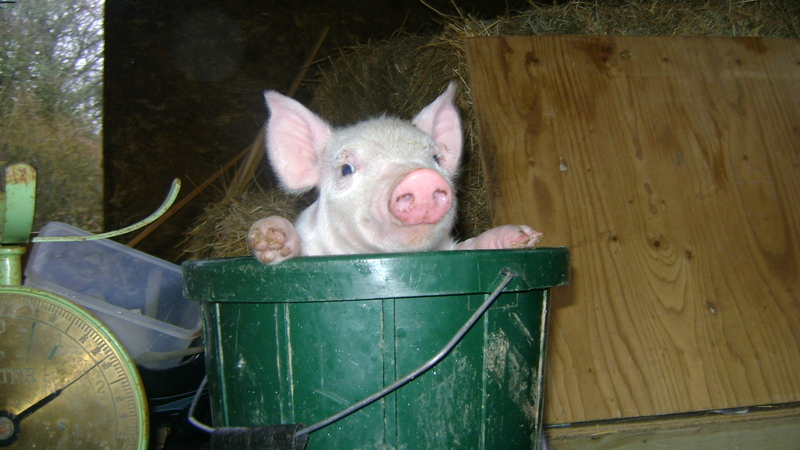 The Piglets are being weighed on a weekly basis but it is now getting more difficult to weigh them in their bucket! As the photo shows. 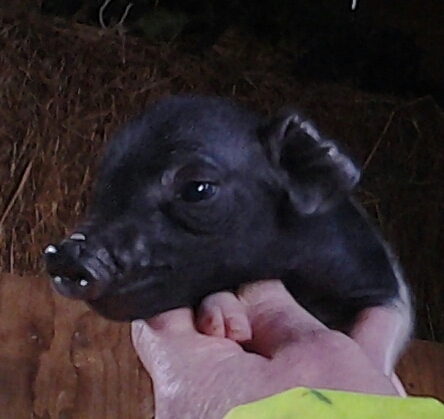 All t he piglets are thriving and putting on good weight every week. Mum is feeding them well and in between feeds and sleep they are very active. 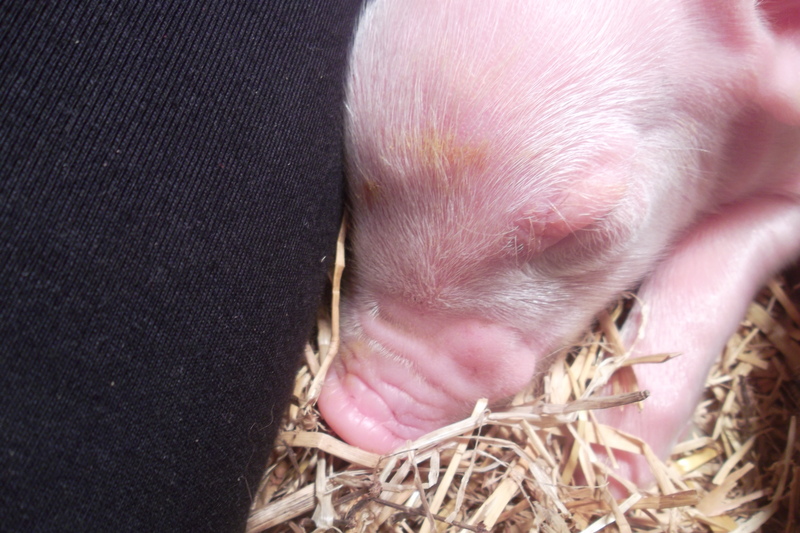 At approximately 4.45 Sunday 29th January 2012 Crackle began to give birth to one of 12 piglets. 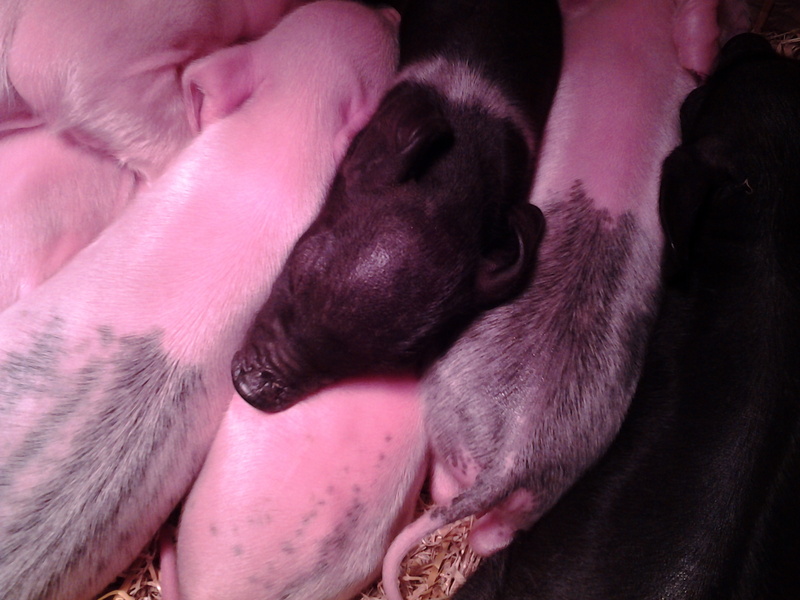 Mum and piglets are doing well. The last piglet arrived around 6.45. 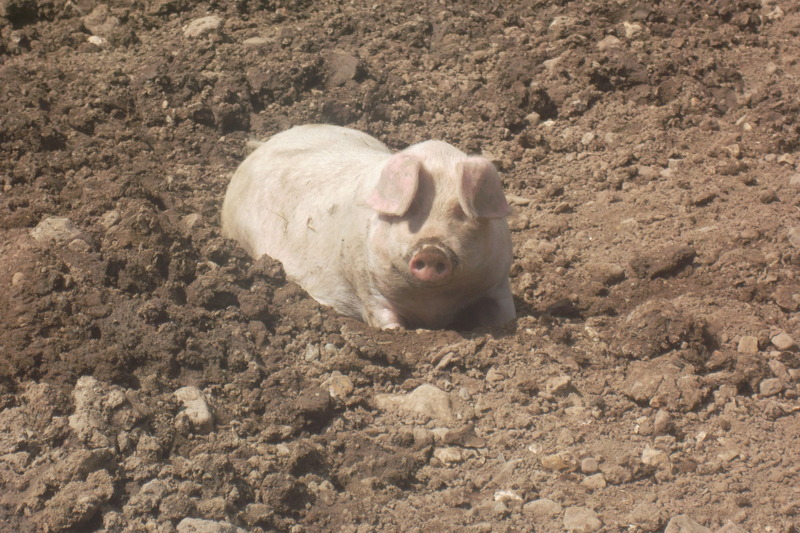 Our beautiful resident pig “Crackle” who is due to give birth next week. She is such a delight to look after and she is very friendly and gentle.